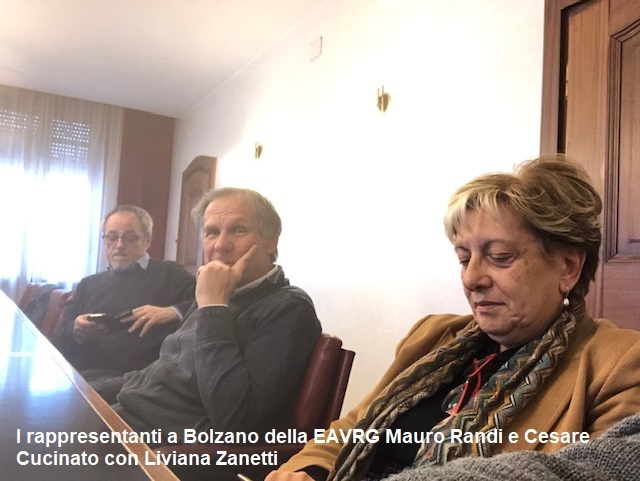 On Monday 11th March, three operational meetings were held to launch the EAVRG program; the Municipality of Bolzano and the entire Alto Adige-South Tyrol are its reference point and operational center. Both the Italian and the German part were present. After the meeting with the Director of the Tourist Agency, there was a meeting with the Deputy Mayor Mr. Baur and the President of the Tourist Agency Mr. Pavan. Then, at the end of the afternoon, a meeting with the Executive and with ing. 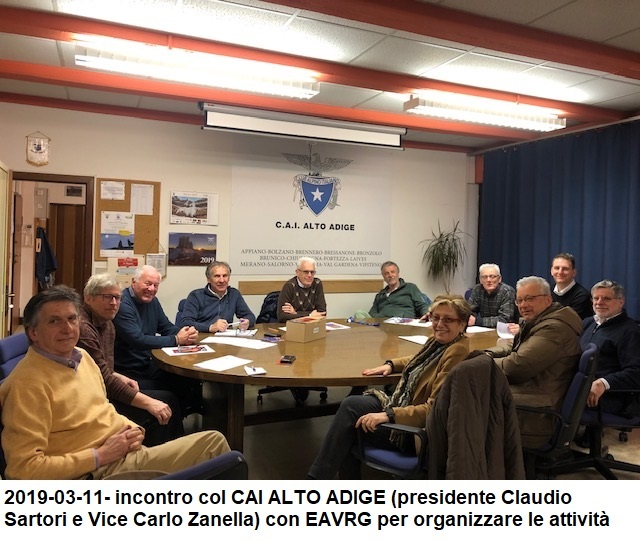 Sartori, President of CAI Alto Adige (formerly our member) for the support of future activities. Among other events, in September Bolzano will organize the Walking Festival; next year the event of the Way of Peace, from Stade to Rome.